Updated Routes Map 17 &18 ! 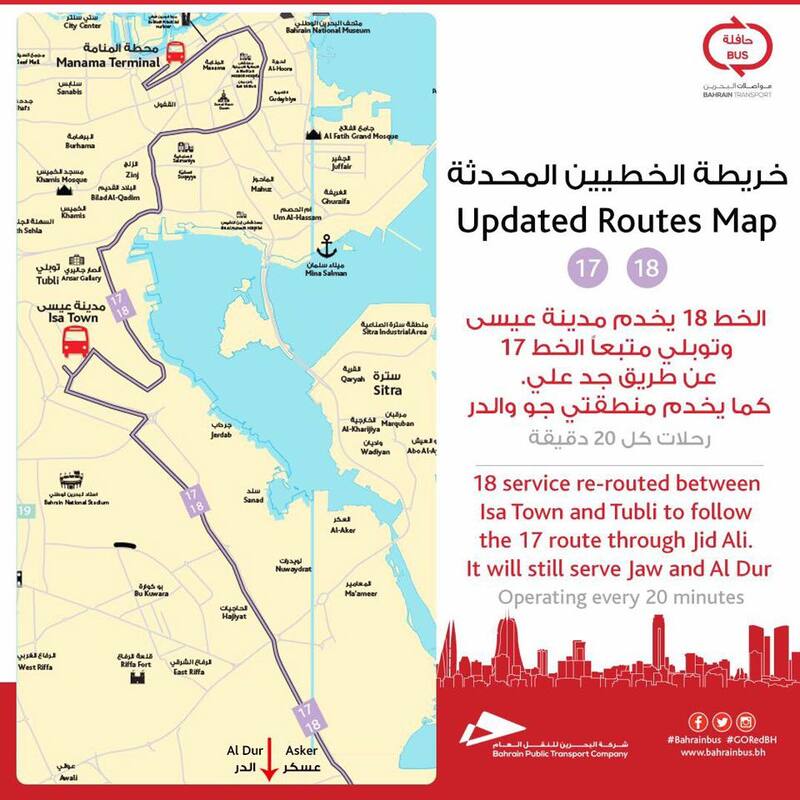 INTERESTING PLACES TO VISIT GO RED to ARAD FORT & BAHRAIN INTERNATIONAL AIRPORT Via Bus Routes 32 & 33 ( every 30 minutes ) also Bus Routes 10 &11 ( every 20 minutes ) ! You need a ride ? Download The Red Bus Application wherever you GO !